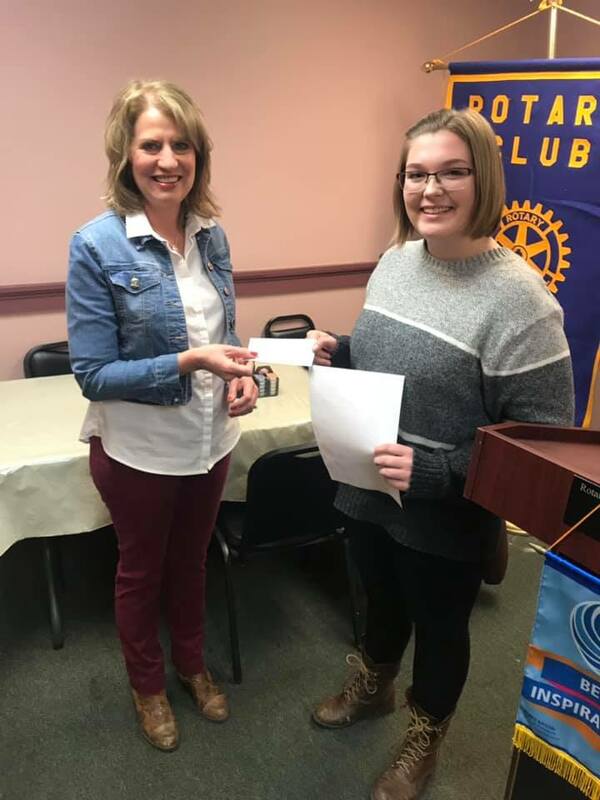 At the Mar 21 Rotary Luncheon, Essay Committee Chair Terry Furman introduced the Club Essay Contest Winner, Charlesie Rowles, a Senior at TAHS. She is President of the Interact Club and has been in the club for 3 years. After graduation, she plans to go into nursing and minor in Spanish. Charlesie’s essay was submitted to the District 7410 Essay Contest for Juniors & Seniors. The essay topic was “Be the Inspiration”. Charlesie read her essay at the luncheon. Terry then presented Charlesie with a $100 check as the winner of the Club level of the Essay Contest.